The first laparoscopic nephrectomy was successfully performed in an 85-year-old woman with a 3-cm solid renal mass at Washington University, St. Louis, Missouri in 1990 (1). Five ports and 6 hours and 45 minutes later, the specimen was removed by morcellation. Oncocytoma was the final diagnosis. Since this pioneering work, the urologic community has accepted laparoscopic radical nephrectomy as a viable surgical option for renal cell carcinoma. 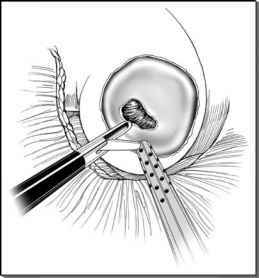 The technique itself has evolved into three categories based on surgical approaches including (i) the pure transperitoneal laparoscopic procedure, (ii) the hand-assisted laparoscopic procedure, and (iii) the retroperitoneal procedure. The transperitoneal approach is the most widely used technique: It optimizes movements of instruments by offering a wide working space and maximum distance between working ports. The procedure can easily be converted to a hand-assisted approach in difficult cases. The main disadvantage of the standard transperitoneal laparoscopic radical nephrectomy is the additional hour in operative time compared to the retroperitoneal and hand-assisted approaches.